Everything’s more fun on holiday! Your kids’ brains don’t go into hibernation just because their schoolbags are stored away in the cupboard. Holidays are the best way to get them thinking without them realising! Learn geography on the River Charente, biology in the oyster farms or in the middle of a bamboo forest, history on the deck of a ship… Holidays in Charente provide an entire curriculum! For a 100% local biology class, visit the Cité de l’huître in Marennes, where a guided tour of the oyster farm allows you to better understand this world of oyster farming and tasting. You can also have a little botany revision session and recap the cycle of the seasons at the Cep Enchanté (The Enchanted Vine) in Macqueville ! 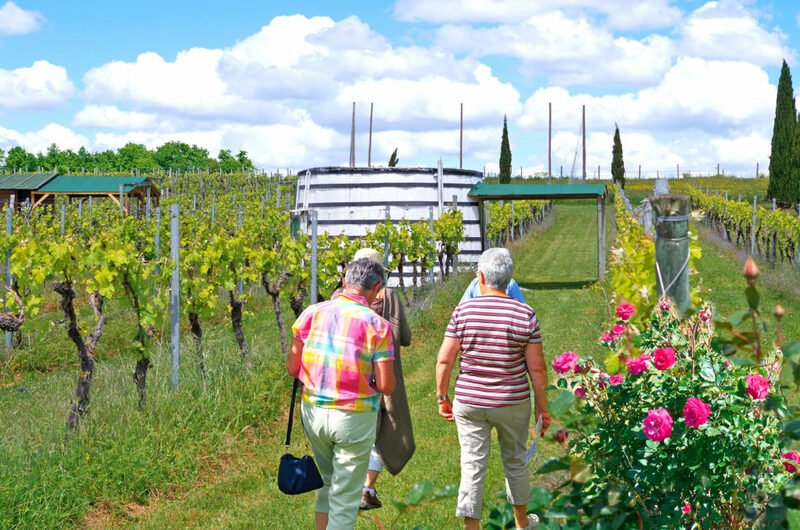 This place showcases another product, grapes, through an entertaining, maze-like trip through the vines. There are lots of new scents and tastes to be discovered once you find your way out. The Bambouseraie (Bamboo Plantation) in Matha offers a tour of the botanical world. Its passionate founder will guide you as you explore the site, which boasts more than 60 collectible varieties of bamboo, as well as rare and tropical plants – rare plants that he’ll encourage you to touch, smell and taste! Long live the summer holidays! The Château des Énigmes in Pons is certainly a magnificent example of Renaissance architecture, but the real reason visitors go there is to have fun. The history lesson can wait… or it can take the form of a treasure hunt. The hunt is brilliant fun and suitable for children aged four and over. But parents will enjoy it just as much, especially thanks to the château’s recently opened escape room. Let’s get the scavenger hunt started! 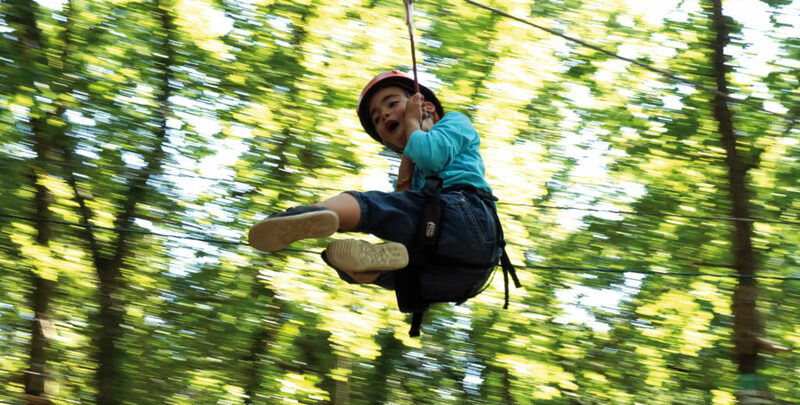 In Royan, try out the Coolongalook adventure park as a family, with its various tree-top obstacle courses in a fantastic setting that’s made entirely safe by the ropes that run its full length. Discover the interactive Dreamtime quest, where aboriginal myths, legends and adventures inspire your little explorers’ minds! We’re turning back the clock in Charente, starting with an immersive journey into prehistory with Paléosite in Saint-Césaire which offers projections, reconstructions, workshops and even a morphing exhibition that gives you a Neanderthal makeover! The remnants of the Cassinomagus thermal baths in Chassenon are amongst France’s best preserved ancient sites. Tour booklet in hand, little holidaymakers will experience a fantastic archaeological adventure, guided by Livia and Caïus. The new virtual reconstruction film A Day at the Baths will transport them to the 1st century A.D. to experience the daily lives of the Gallo-Romans. Saint-Amant-de-Boixe Abbey and its imposing Romanesque abbey church are an unmissable stop if you want to understand Romanesque architecture. During a fun, interactive route through the site that includes models, projections, computerised hubs, illustrations and archaeological artefacts, visitors are immersed in the life of the monks and Romanesque builders. 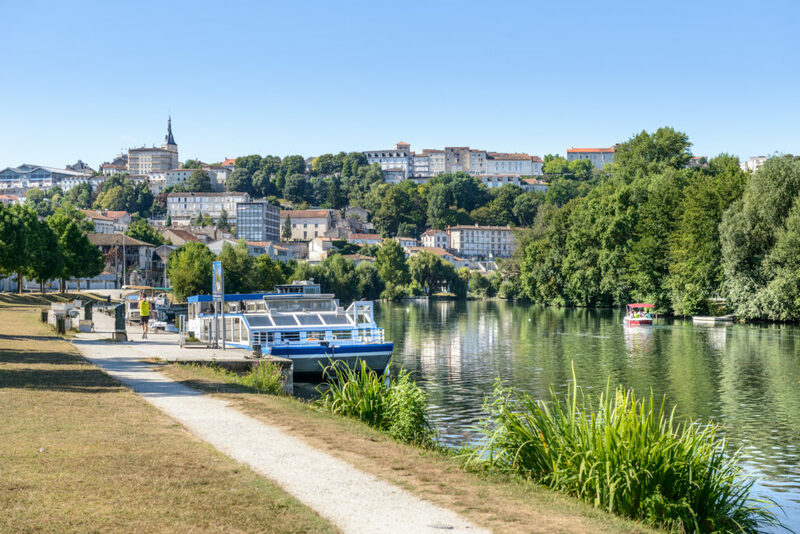 To explore Angoulême and the River Charente, “the most beautiful stream in my Kingdom” in the words of Francis I, nothing beats a short cruise on board the Reine Margot with Charente Croisières. Start your river journey at the foot of the plateau where the Mediterranean-style upper town is nestled, for a trip through nature that also takes in sites which echo with the town’s history. It’s time for the traditional trip to the pool. But forget about settling for a few lengths. 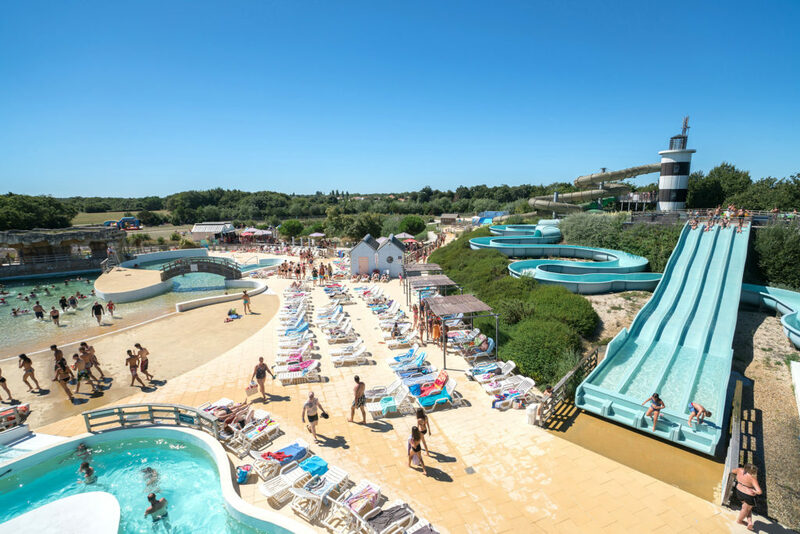 Head to Iléo in Dolus d’Oléron: swimsuits on, the kids will waste no time in hitting the slides, wave pools and rubber rings, letting off steam all day long. In Saintes, experienceMusicaventure, a tour of the Abbaye aux Dames. Don your headphones and follow the sounds that mark out the different stages of the tour; they’ll lead you through the space’s history and music, as well as offering a unique auricular experience – 3D sound! New for 2018, visitors of all ages can ride the musical carrousel, an enormous digital “instrumentarium”. 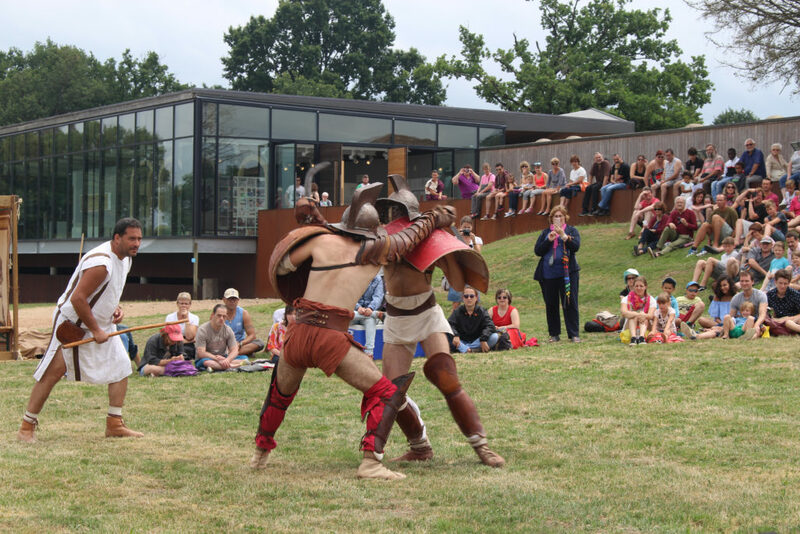 Immersion au cœur de la vie des moines et des bâtisseurs romans.